Using InfoCaptor Enterprise's connection window you can define a JDBC connection to the choice of your database. Navigate to the connection window and select 'JDBC' from the left panel. directory. Make sure tomcat is running. The jdbc drivers for MySQL, Oracle and SQL server are already packaged. 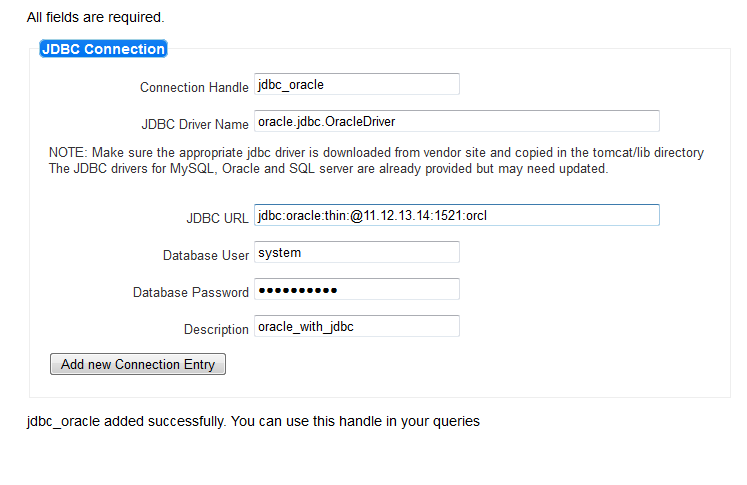 The JDBC driver and JDBC URL are standard and unique for each database that you want to connect.